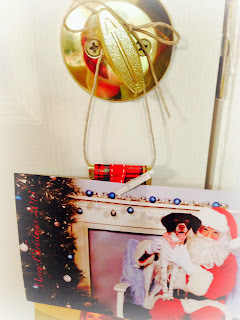 I wanted a new card display this year and decided that I took inspiration from several different pins to create my version of a ribbon card holder. I used a wide plaid ribbon and a much thinner red ribbon down the center. I stitched them together at the top and looped a piece of twine at the top so I could hang it. 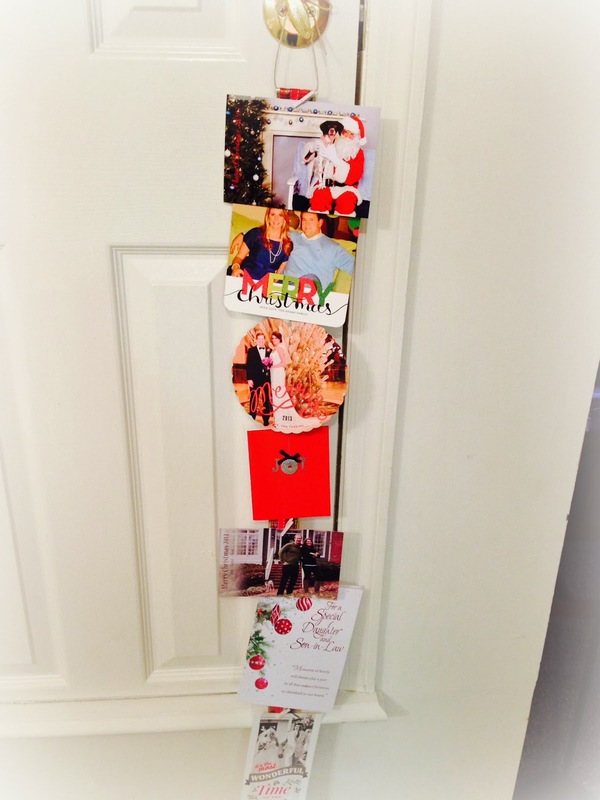 This ribbon is about 4 foot long and holds about 8 cards. 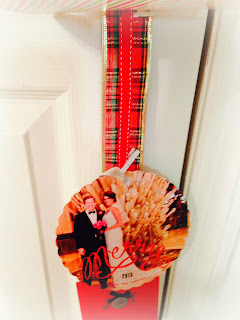 I used the mini clothespins I purchased for our wedding seating display to attach the cards to the ribbon. Twine bow and a better look at the two ribbons stitched together. 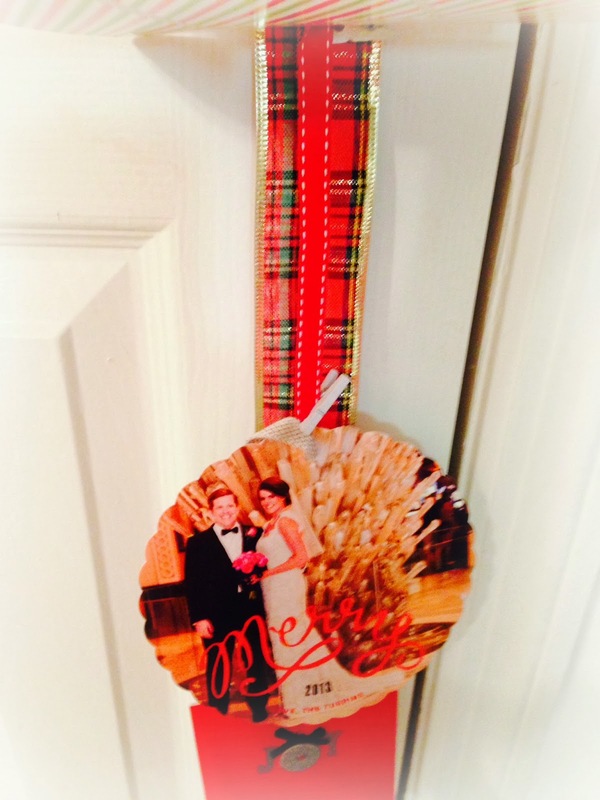 Many of our decorations this year featured a red plaid print so this card holder matched perfectly. Several of these cards were received this week so I was finally able to fill it up. 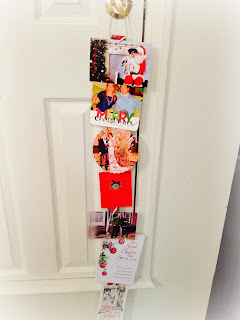 We get between 8 and 12 cards a year so we didn't need a huge display but I didn't want to post it until it was full. I didn't follow the instructions of any of the pinned inspiration completely but there are some beautiful examples that others have crafted. Mine was definitely more simple ... it took about 15 minutes and I have more ribbon if we get more cards next year to display.